Mason City, Iowa (Cerro Gordo County), U.S.A. 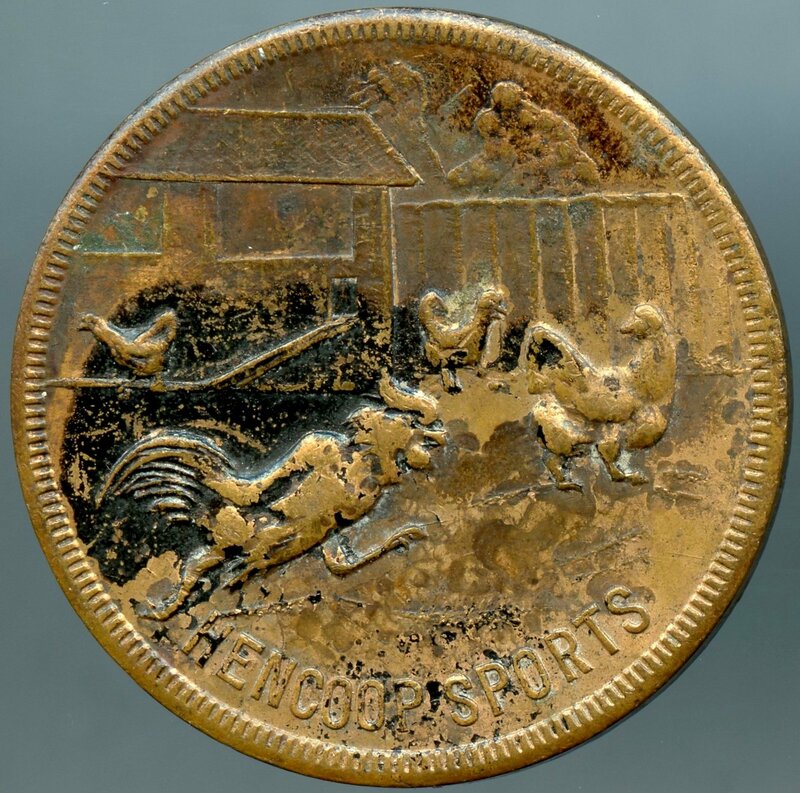 Reverse: WEBSTER BROS. MFG. 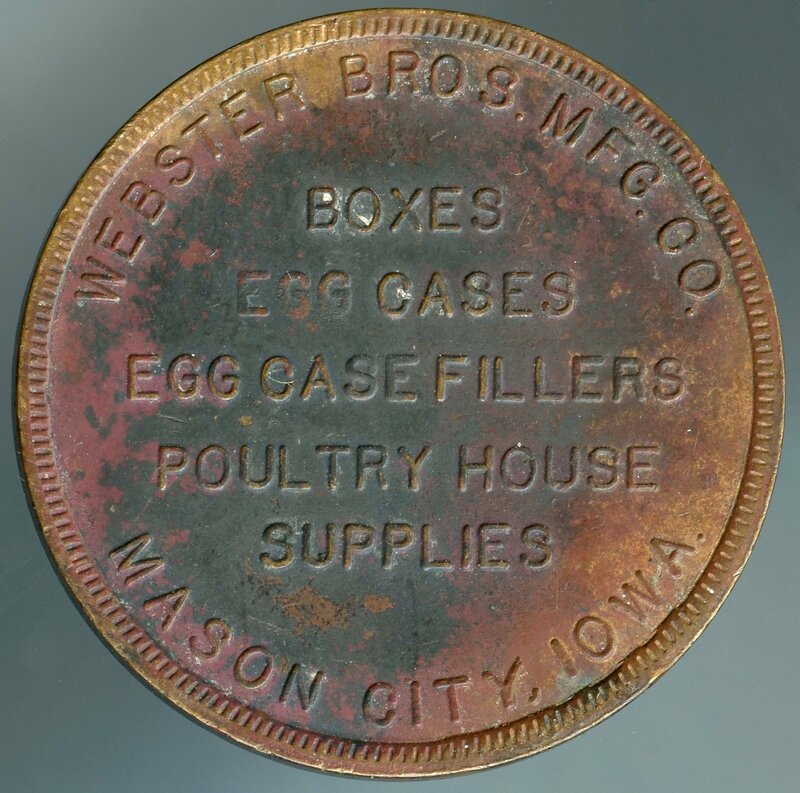 CO. / BOXES / EGG CASES / EGG CASE FILLERS / POULTRY HOUSE / SUPPLIES / MASON CITY, IOWA.